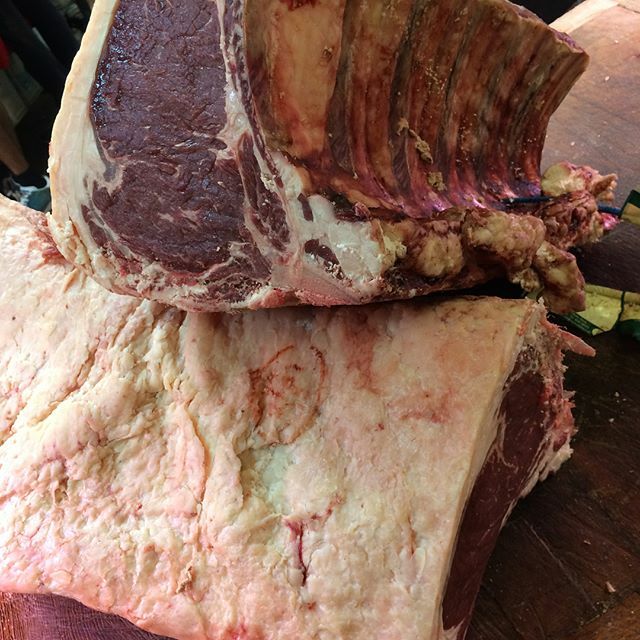 Dry-aged grass-fed beef. 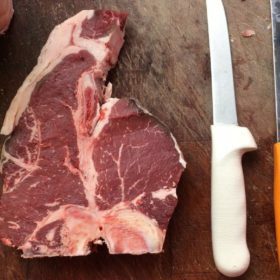 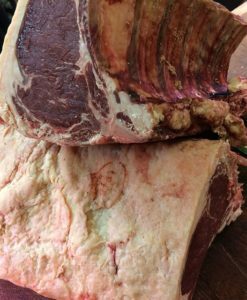 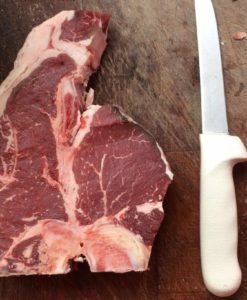 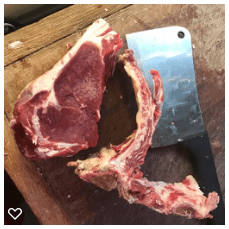 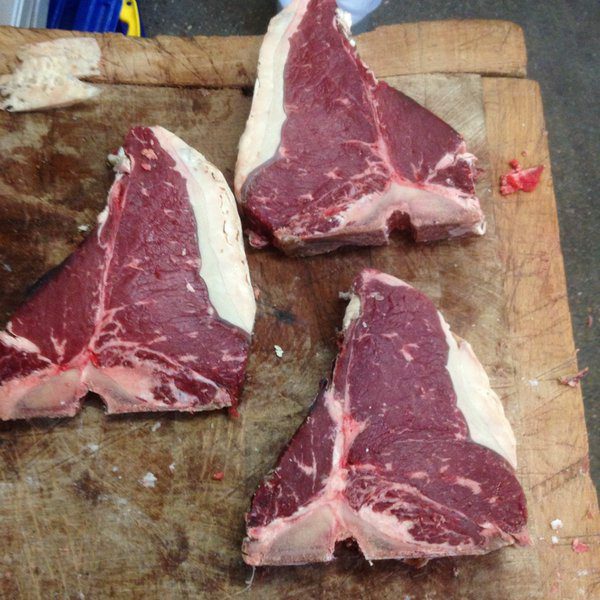 Our Sirloin on the bone is aged on the bone for up to six weeks, depending on the breed of cattle and the needs of the meat. 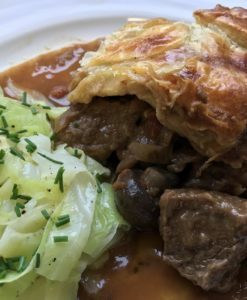 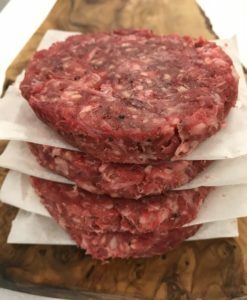 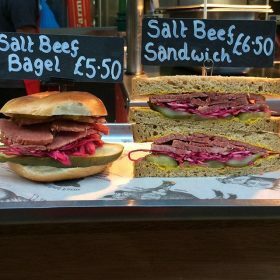 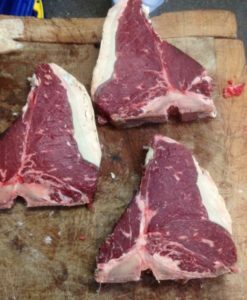 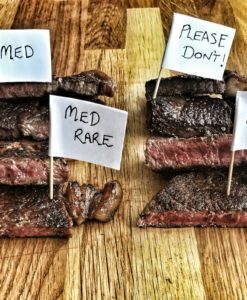 Available from the filet end (cook only to rare) or chined and trimmed from the front end for cooking rare through to medium/well-done.